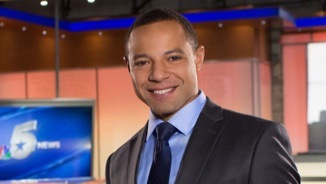 The arrow is pointing homeward for NBC5 weekend morning anchor Johnny Archer, who has decided to leave the Fort Worth-based station and return to his native Philadelphia early next year. 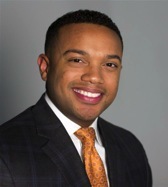 His replacement will be Fort Worth native Evan Anderson from Columbus, Ohio’s WBNS-TV, where he’s spent just a year as the CBS affiliate’s weekend evening anchor. Anderson earlier worked at TV stations in Oklahoma City and New Orleans after graduating with a degree in mass communications and business management from New Orleans’ Dillard University. He’s scheduled to start at NBC5 in February. Anderson briefly attended Texas Christian University in Fort Worth after the Dillard campus was flooded by Hurricane Katrina in 2005. He’ll also be reporting on weekdays and filling in on NBC5’s weekday morning editions. Archer joined NBC5 in May 2014 from WHAS-TV in Louisville, KY. He initially was hired as a weekend evening anchor, but was moved to mornings when NBC5 hired Cory Smith in late 2015. He’s a Temple University graduate who grew up in the Philadelphia area. In a memo to staffers Thursday afternoon, NBC5 vice president of news Mark Ginther noted that “a few months ago, I let everyone know that Johnny Archer let me know his intentions to move home to Philadelphia when his contract expires in early 2017.” Ginther also praised Anderson’s current station, WBNS-TV, as “one of the very best news organizations in the country.” Another recent NBC5 hire, reporter Ashleigh Barry, also previously worked at WBNS, Ginther said.